Making the right purchasing decisions, deciding on special offers for sale and ordering stock for seasonal changes is a part of what effective stock control is all about. Reliable training companies offer and compare a variety of training programmes to help participants reach their goals. Businesses in the UK and overseas are searching for dynamic stock control personnel who have successfully completed stock control training courses. With this in mind, don't hesitate to contact experienced training organisers and tutors and leave an 'information request' concerning specific stock control training courses. Take advantage of open, online and in house stock control courses with dedicated training providers. What does stock control entail? Stock control may be very challenging, however with the right type of training, delegates can achieve the targets set by professional lecturers. A stock control training course is fundamentally designed to introduce the basics which tackle the concept of availability and investment. Delegates can also expect an introduction to corporate finance, inventory accounting, stock control, stock market operations, completion accounts and effective expediting. Stock control courses are available via accredited training providers who can deliver their courses as public training programmes throughout the UK, as corporate training or make them available online. Stock control courses can benefit newcomers as well as experienced professionals who want to expand their knowledge and improve their career prospects. A stock control course is ideal for any employee who has moved into a control role or has had their current responsibilities increased. Delegates can expect exceptional value for money, as stock control training courses provided by leading training providers, tutors, speakers and lecturers. Having the key inventory control skills needed to reduce business operating costs will help applicants find a suitable vacancy within the stock control sector. Professional stock control and stock control courses are definitely the way forward in achieving job aspirations. Course providers can help participants build on good business principles for companies in the UK and overseas by supplying the right materials and equipment. Attendees will be better qualified in stock control and stock control work ethics for the future. By the end of a stock control training course, delegates should feel more confident regarding their career prospects. 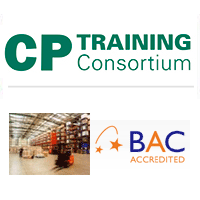 Speak to dedicated stock control training providers - contact them via the course list above. What will I learn with a course in stock control? Take the next step in your career today and book a course in stock control and stock management.